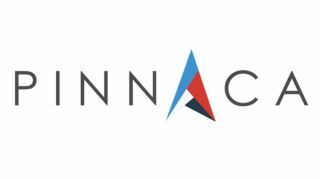 Managed services provider Pinnaca has formed a partnership with Onstream Media, an online service provider of live and on-demand media communications. Pinnaca will launch the new service under the brand Event Streaming and will provide the service through Onstream’s video webcasting and webinar platforms. Onstream’s internet-based platform is designed for broadcasting large meetings, conducting keynotes and product launchings, and for holding large public events, all managed and streamed to thousands of people. Onstream’s webcasting also is a means to connect with new audiences, identify leads, generate new revenue, and increase brand awareness. The complementary service offering is designed to be easy-to-use and intuitive, with no downloads required nor software to manage. One of the most popular applications is in continuing education and online learning. Onstream’s visual webcasting platform offers feature-rich webcasts that provide high-quality streaming video, audio, presentation materials, graphics, and other media. The service also will complement corporate talent management programs, where the webcasting platform provides participants with a clear definition of credit hours available to be earned and requirements for receiving certification.